Home → Enablers → Analytics → What are you doing with data? Did you know that about 90% of all data in the world was created in the last two years? Did you also know that each human being would have generated about 5,200 gigabytes of data during their lifetime? This data comes from so many different sources – every cell phone call creates data. Every credit card purchase does too. Every customer service call. Every Facebook post. Every website visit. So much so, the world calls it BIG DATA! 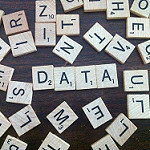 But is there such a thing as big data – really? And Small data? Or medium-sized data? In reality, all there is, is data. What anyone makes of this data, is ultimately, what matters. Again, while the good news is that we have all this data, which can provide valuable insights about customers and their behavior, the bad news is that the insights are not right there at the surface, waiting for them to be grabbed and used. Every business wants to out-perform its peers – and when it comes to data, it is all about asking the right questions, getting data that will answer those questions, and then using those insights to back decisions. When data-driven decisions steer the business, you can smile all the way to the bank! It all starts with a smart plan. A smart strategy. A smart goal to work towards. And a smart way to make it happen.